Who would have guessed a board game café would have made it into my blog? Well where there is good food, the Piquey Eater shall travel. Okay, I actually had no clue that Castle Board Games would have anything good, it was just across the street from Mother’s Dumplings and my fellow diners wanted to do something after dinner. 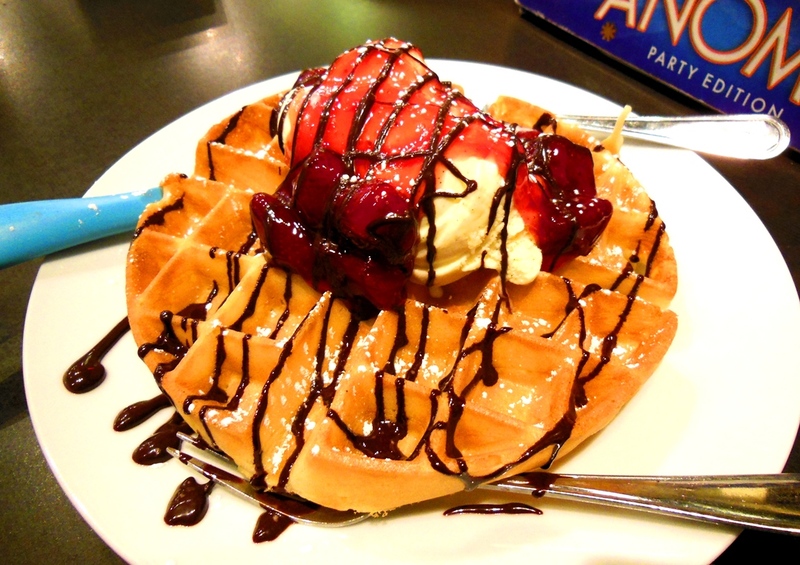 Failing several rounds of Taboo, Anomia and Cards Against Humanity were made bearable with a beautiful and light Belgian waffle topped with vanilla ice cream with strawberries and chocolate syrup. A great place to hang out with friends and enjoy a latté and dessert.